IS-3 - Soviet heavy tank of the Great Patriotic War, launched into production in its last days and not had time to take part in it. 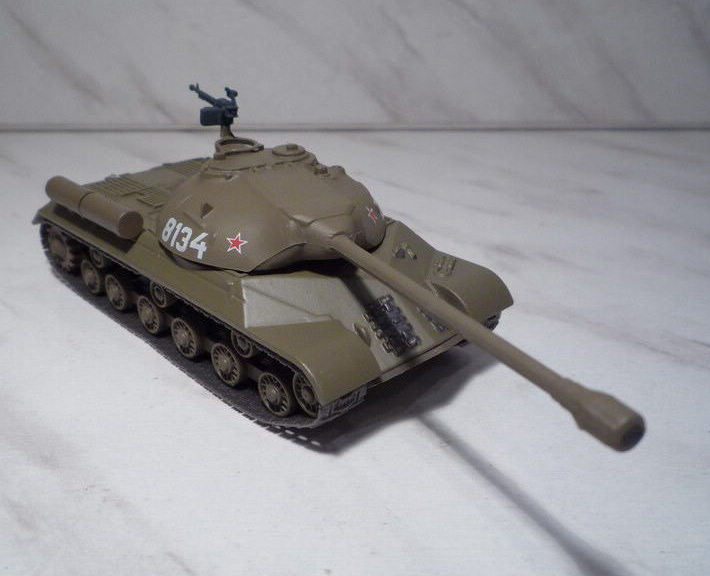 Therefore, this war machine often considered one of the first post-war Soviet tanks. Contrary to popular opinion that appears in old sources, the IS-3 were not used in hostilities of World War II, but these fighting vehicles in an amount of 52 pieces of 7 September 1945 participated in the Berlin parade in honor of the Allied victory in World War II in part of the Red Army. In the Soviet army in combat operations, these machines have participated only once - during the suppression of the Hungarian uprising of 1956. 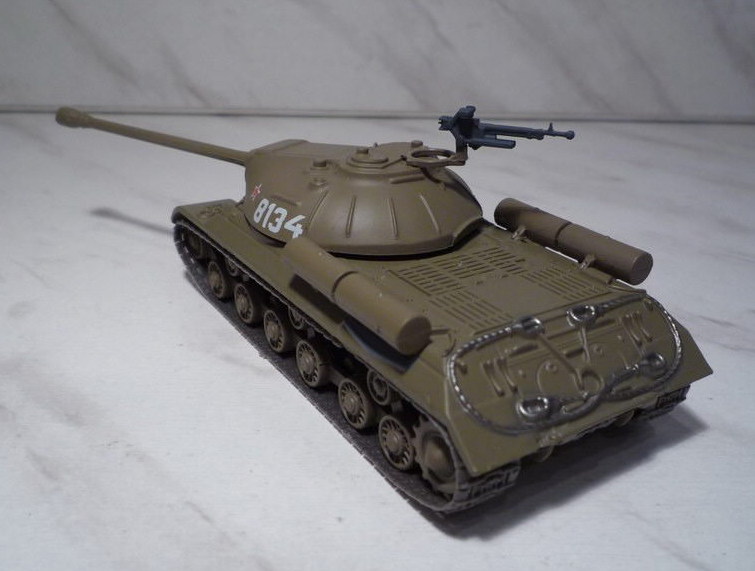 IS-3 is almost no allies, the Soviet Union supplied the Warsaw Pact. Greater number of IS-3 was delivered to Egypt, has received a total of 100 vehicles. The first of them arrived in the late 1950's, the main part of tanks was delivered in 1962-1967, respectively. 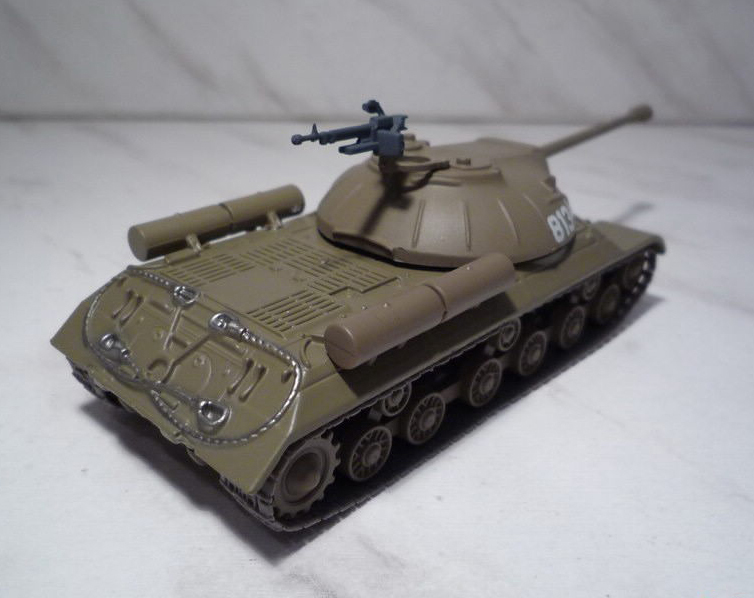 As part of the Egyptian army, the IS-3 were used during the "Six Day War" of 1967. Go to "Yom Kippur War" of 1973, in the Egyptian army was still one regiment, complete with IS-3, but information about his participation in the war there. A quantity of wrecked or abandoned by the Egyptians in 1967 vehicles were seized and exploited by the Israeli Army as part of their own armored forces until the early 1970's, both as a fighting vehicles and armored trucks. 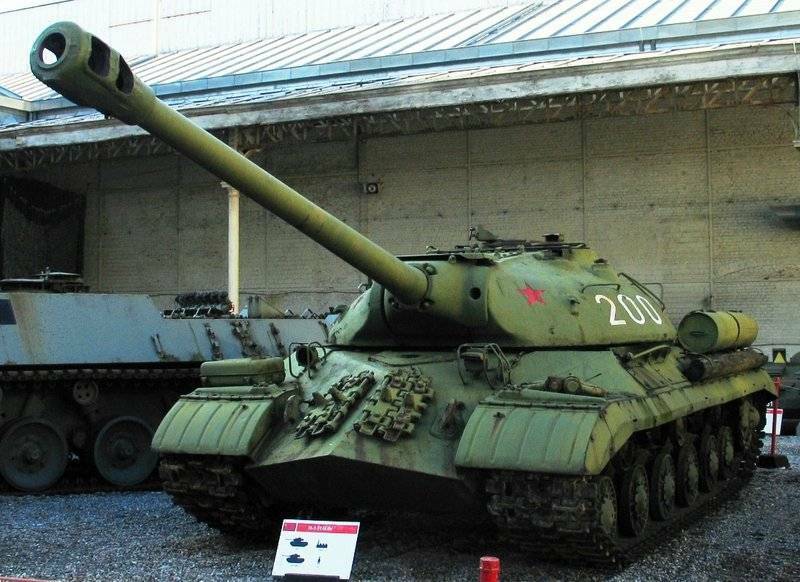 A significant number of IS-3 was transferred to the DPRK in 1960 armed with the Korean People's Army had at least two regiments armed with them.